On Monday, September 28th we held our first ever Health Sciences & Engineering Mixer. 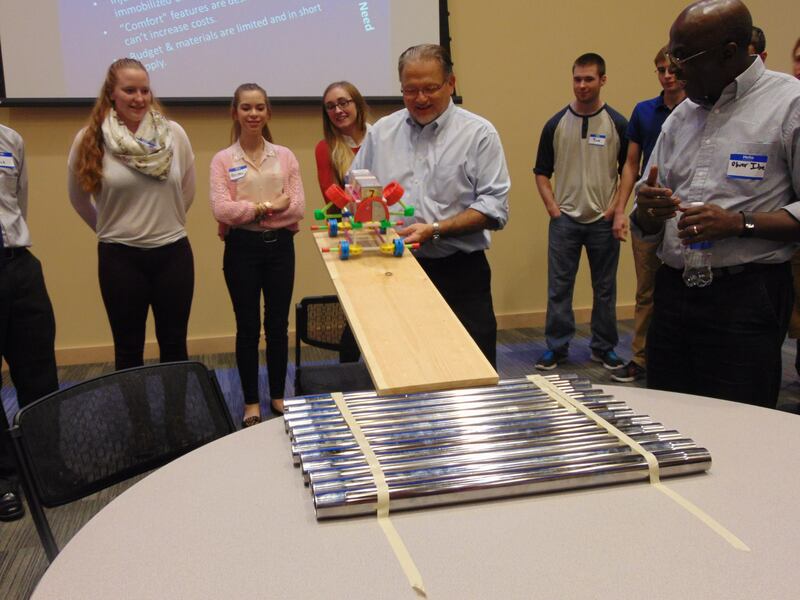 The College of Health Sciences and The College of Engineering partnered for this event where honors students were invited to participate in a DifferenceMaker ideation activity with staff and faculty fellows. 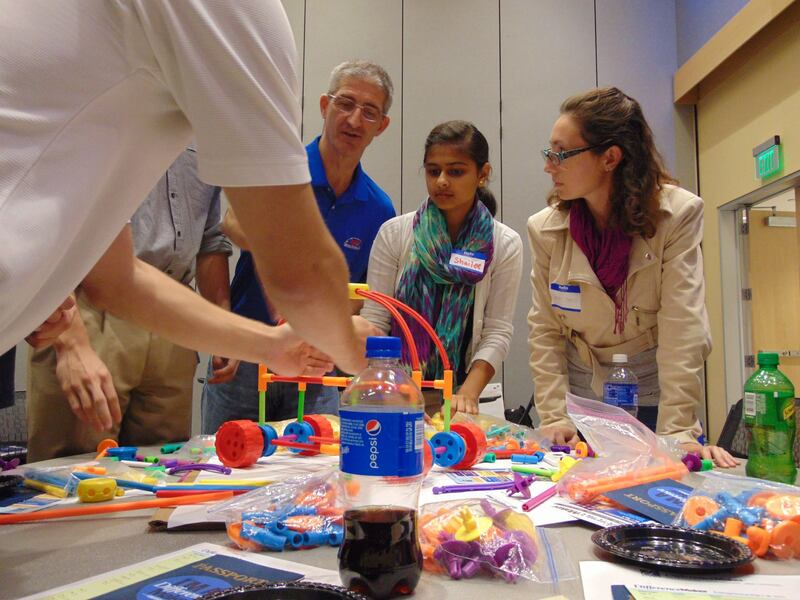 Tom O’Donnell, Management and Entrepreneurship Professor and Director of UML’s new Innovation Hub, working with student teams. Students formed groups and used Tinker Toys to create a model vehicle to transport sick patients for miles on rough terrain to the nearest hospital in a hypothetical situation. Steven Tello, Associate Vice Chancellor for Entrepreneurhip and Economic Development and Founder of the DifferenceMaker Program, tested the vehicles on a steep ramp around the room and building. The goal for the event was to educate students from the two colleges about the DifferenceMaker Program, problem solving, and about the advantage of forming an interdisciplinary team for entrepreneurial ventures. To learn about our other fall 2015 events, please click here. To view photos from the Mixer, you can click here. 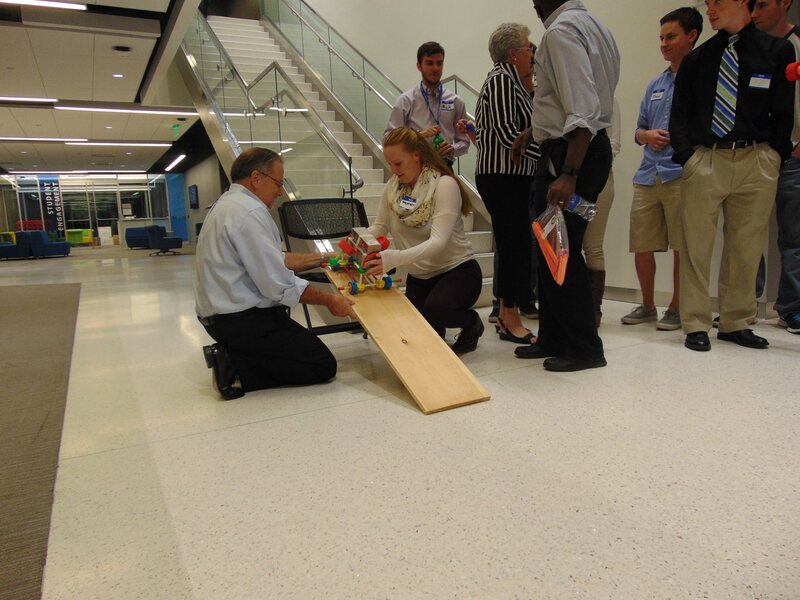 Steven Tello, Associate Vice Chancellor for Entrepreneurhip and Economic Development and Founder of the DifferenceMaker Program, testing out student teams’ model vehicles. Kathleen Tullie, the Director of Corporate Social Responsibility at Reebok is coming to UMass Lowell! She is giving a talk on socially responsible brands this Thursday, September 17th at 11:00am in O’Leary 222. 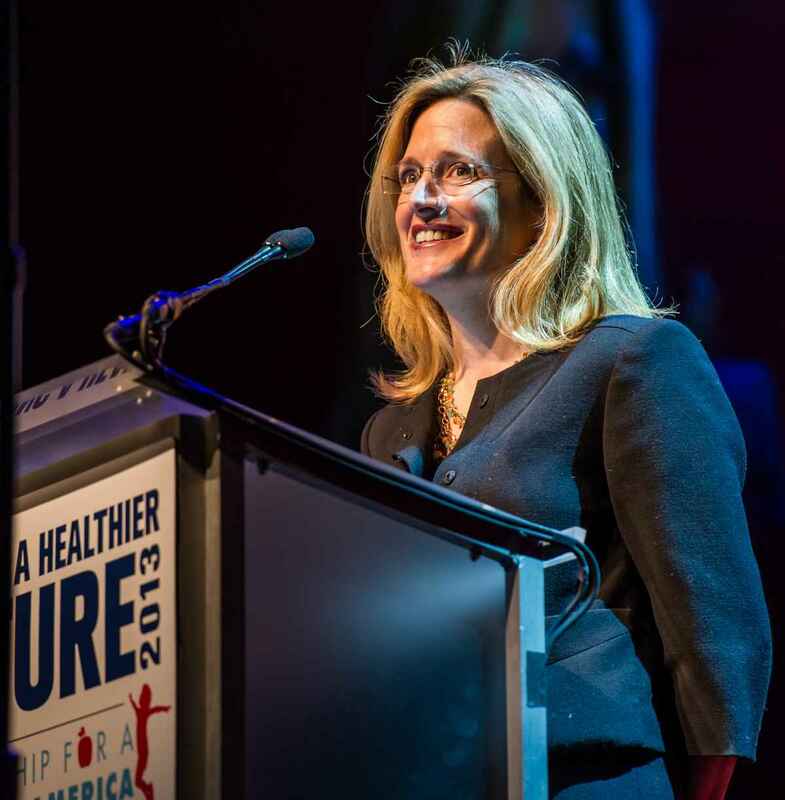 This event will serve as a terrific opportunity for students to learn from a member of Reebok’s leadership team while also learning about social responsibility among businesses and corporations. All students are welcome to attend! !